Cricket Explained offers the sport’s fans an easy to understand introduction to baseball’s British cousin, a game that shares with America’s national pastime the common ancestor “rounders”. 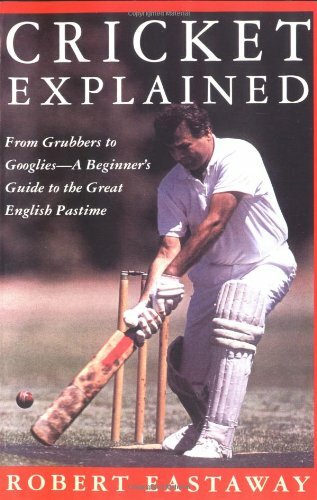 The book is a definitive beginner’s guide to cricket and is written by a world authority on the sport, the co-inventor of the Coopers & Lybrand World Cricket Ratings System. Cricket Explained takes the reader from the game’s fundamentals — basic rules, terminology, equipment — to the finer points of strategy, individual playing styles, and cricket lore.